8.75″ I.D. – 36.0″ O.D. 222.3mm I.D. – 914.4mm O.D. 8.75” I.D. - 36” O.D. 222.25mm I.D. - 914.4mm O.D. 8.75” I.D. - 36.0” O.D. 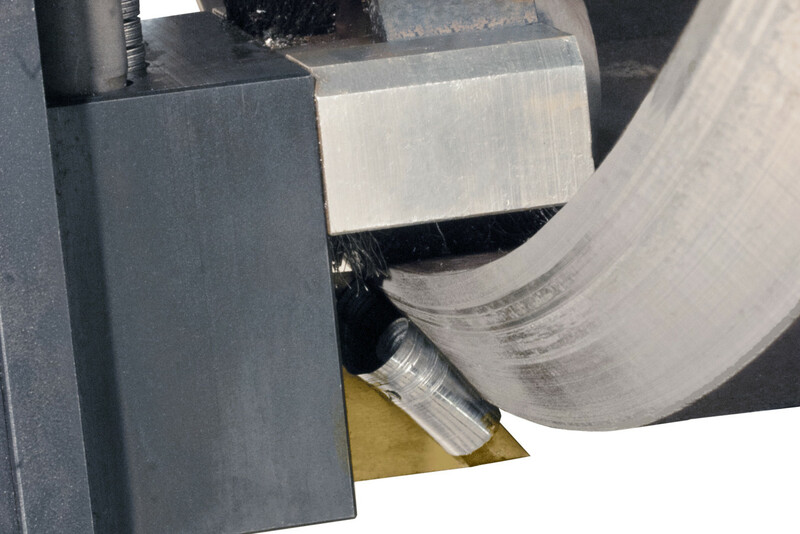 The Terminator MILLHOG is a ruggedly constructed precision pipe beveling machine for performing weld joint bevels at any angle on pipe ends up to 36". 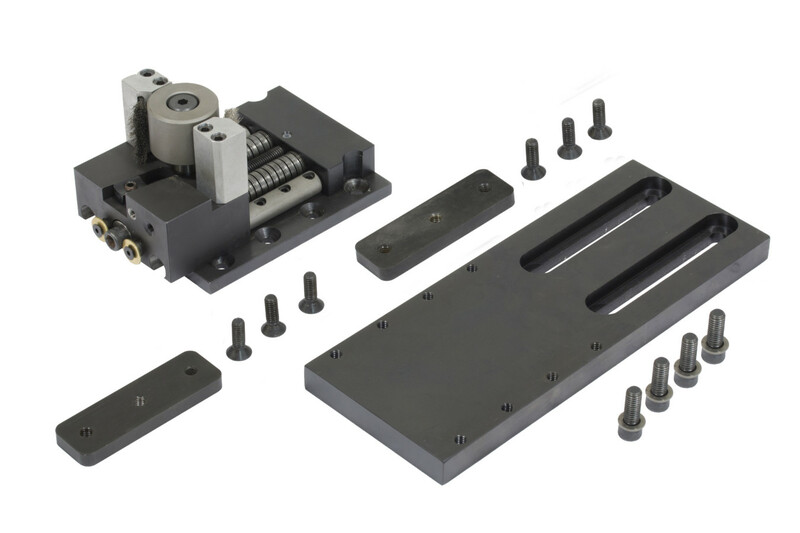 Built with state of the art materials that are precision machined, heat treated and hardened, the Terminator is designed to provide years of trouble free service on the toughest applications. 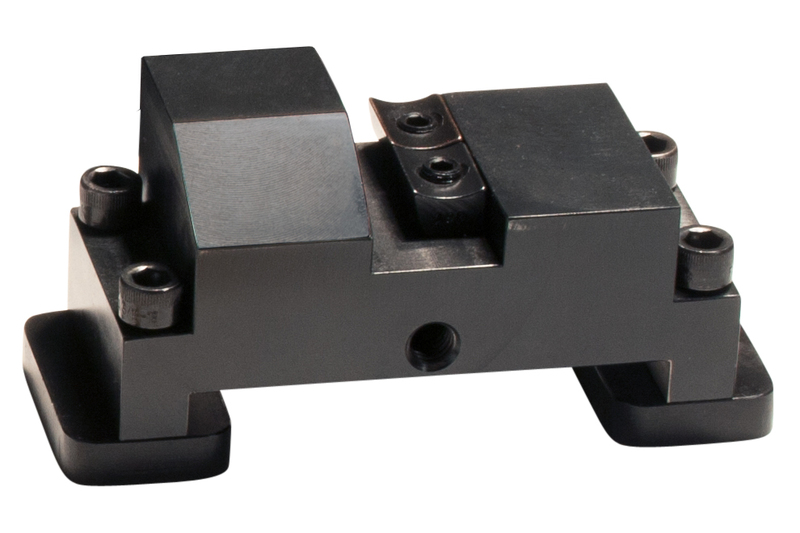 The included Safety Spring Hanger permits the Terminator to be safely and easily aligned and secured square to the pipe. 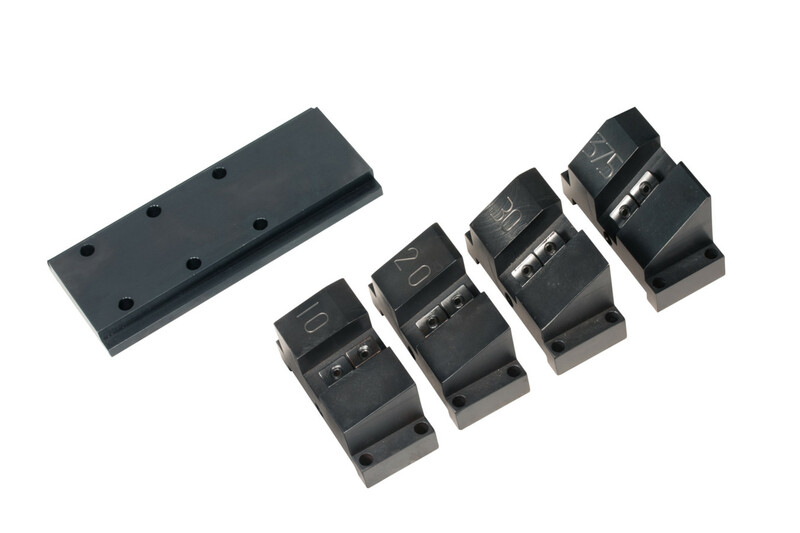 Rigidly clamps to pipe up to 36"
Formed tool bits can be used for wall thickness up to 2.5"
Working Range 8.75" I.D. - 36.0" O.D. Shipping Dimensions 36" x 54" x 48" 36" x 54" x 48"
Working Range 222.25mm I.D. - 914.4mm O.D. The Terminator MILLHOG kits are sold with 2 tool post bases and 1 straight tool post so that another tool post can be selected. 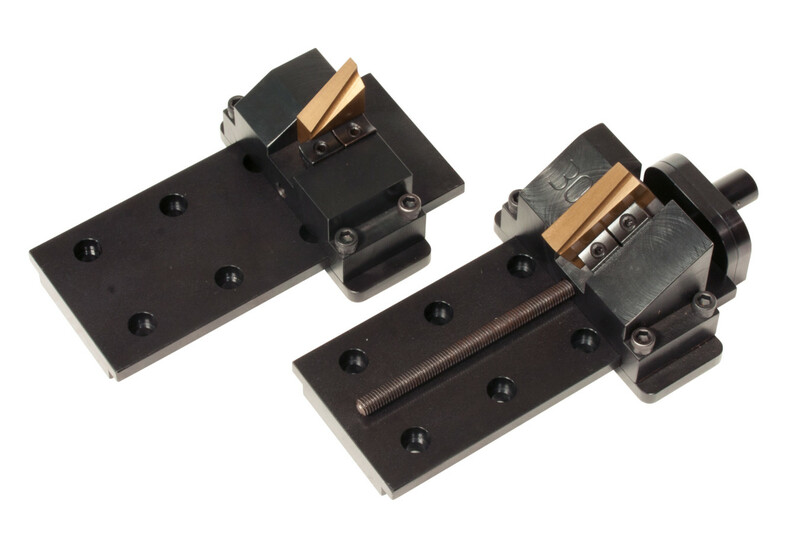 In addition to a flat tool post, there are also angled tool posts that are most commonly used on heavy wall pipe (in excess of 2.0"/ 50.8mm) with a straight blade for rigidity. All tool posts ride on the tool post bases and are secured after final adjustments with 2 locks on either side of the base. The I.D. 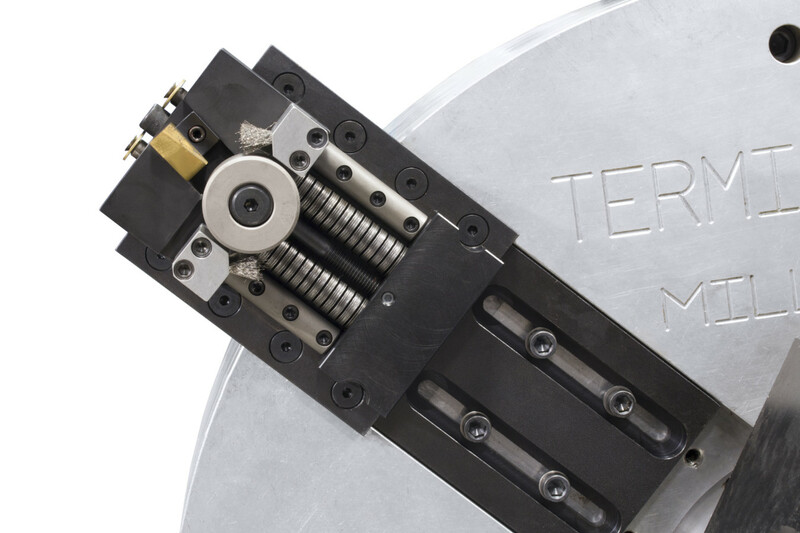 Tracking Attachment for the Terminator MILLHOG is used for pipe that is out-of-round or has varying wall thickness. 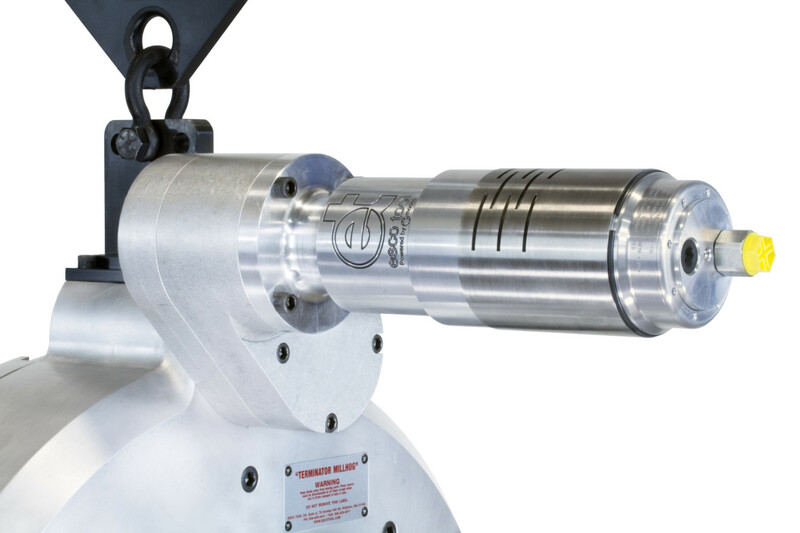 This attachment rides along the inside diameter and moves in/out as the cutterhead rotates, leaveing a consistent bevel, despite the pipes imperfect shape. 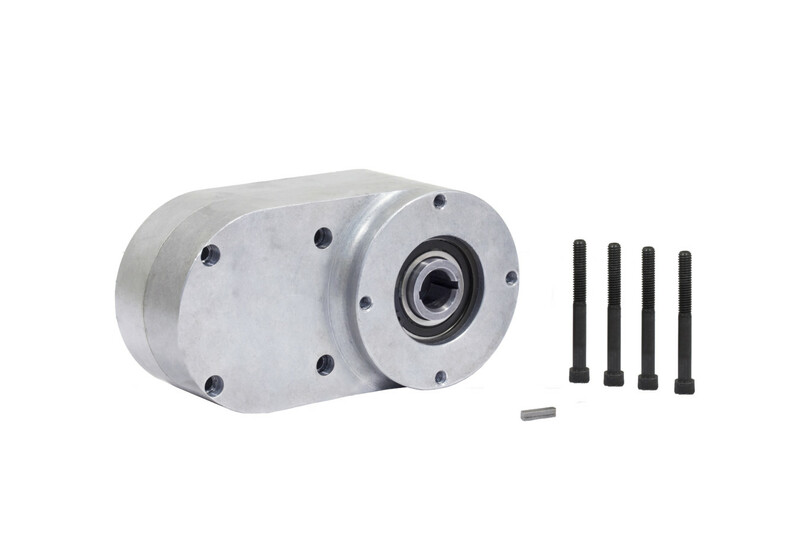 The Torque Multiplier Gear Box for the Terminator MILLHOG is designed to be easily installed with all motor options. 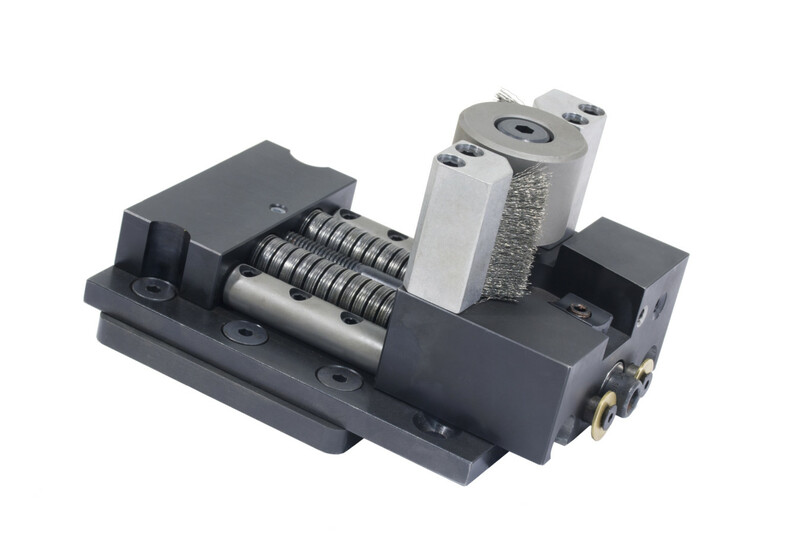 When the Gear Box is attached, the cutterhead rpm is cut in half while torque is doubled, making it ideal for larger tube and pipe or tube and pipe with heavy wall thickness.